Welcome to the first blog tour on this space. 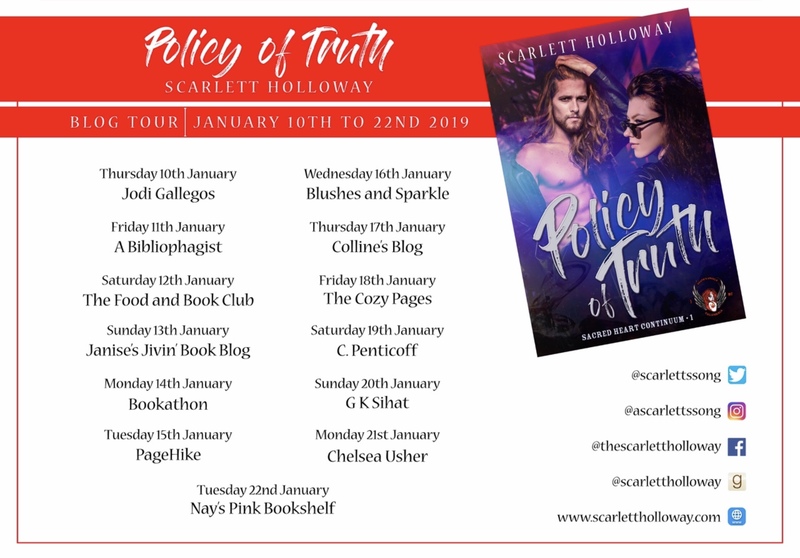 Today I introduce you Scarlett Holloway, the author of ‘Badass Romance”. 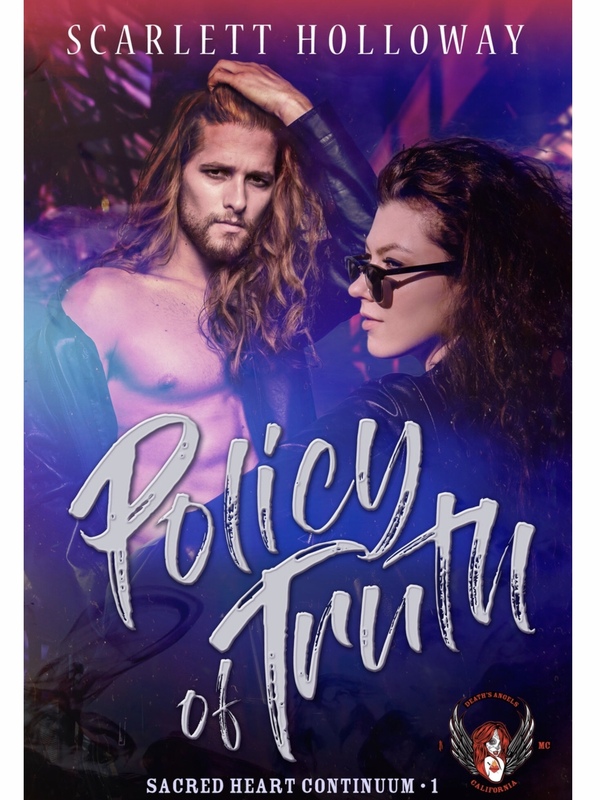 I decided to participate in this tour and read her novel Policy of Truth as I wanted to try read a sub-section of a genre I had not read before. I was curious as well to read a story set in the motorcycle world, and to learn a little about the motorcycle culture. When I begun reading this book, I did expect a little romance as well as references to the motorbike society. These expectations were delivered, but not much else. While reading, there were a few things that I did not enjoy. Firstly I found the swearing was a little overdone. I am not saying that the language in novels should be clean and pure. What I am suggesting instead is that the overuse of vulgar language is a little off-putting to me and, for me, distracted from the story. . The second aspect of the novel that I had a little difficulty with was the characterisation of the women. Their portrayal as tough women who are able to best even strong men did not seem authentic to me. As I am writing this, I think of the character Tamra “Durty” Simon who changes from being an abused wife to a hardened biker within a few years. The gaps in the process of transformation made it hard for me to suspend disbelief and see that the change suggested is possible.The jump is too big for me to imagine as possible. The storyline of Policy of Truth has potential and yet I wanted to see and feel more of what the characters were experiencing. Instead I was told, briefly and quickly. I felt I wanted to see more of the growth in the relationship, for example, between Tamra “Durty” Simon and Brett “Sting” Jackson. The story reached its climax and conclusion too quickly, with many details glossed over. I may not have enjoyed this novel too much but if you enjoy a Mills and Boons type romance with a hint of rebellion and can look past the excessive swearing, then this read is for you. I give this novel ⭐⭐ 2 stars. Enter the rafflecopter giveaway to win a copy of the book. Below are the names of other blogs participating in the blog tour if you wish to read interviews with the author or other blogger reviews. Would you be interested in seeing more blog tours on this space? It was interesting to try out a different type of read but it was not a favourite for me.